The Portland Marathon Clinic kicked off this past weekend! The PMC is a wonderful way to log your long runs with a supportive group. Experience pace group leaders keep you on track with thoughtful routes, and have so much advice that if you’re training for your first marathon or aiming for a PR (or a BQ), you’ll be glad you joined up for these free runs! Registration is now open for the Portland Parks & Rec $5 5k Series! Check it out here and don’t wait too long to sign up. These sell out every year, and the first one is April 22. Coming on April 21 is the Falcon 15k Relay. You can run it solo or with a team of 2 or 3. You can sign up to run it solo for $30 or with a team of 3 for $75. And, Jamba Juice. This event is a fund raiser for Liberty Fit. 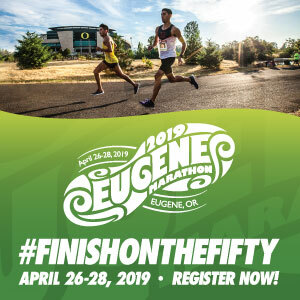 Our friends at the Oregon Brewery Running Series have a run on Earth Day, from Portland Brewing (in NW Portland, near Montgomery Park). These low-key 5k runs are followed up with a pint for all participants, and some sweet raffle prizes. Run, walk, or volunteer and check out this very cool (and spacious) brewery. Another race supporting a local school is the Stoller Community 5k on April 22. Adults can sign up for $30 and students or BSD staff can register for only $20. There’s also a free 1k kids run. Ever wanted to do one of those “color runs” but didn’t want to shell out the big bucks for it? The MHS Color Run 5k in Klamath Falls is only $20. 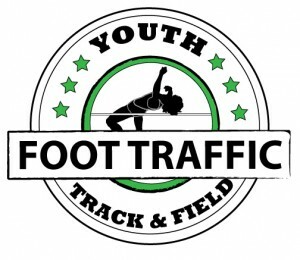 It’s on April 21 at Running Y Ranch. Another low-price race on the calendar is the Cherry Festival Run in The Dalles on April 28. 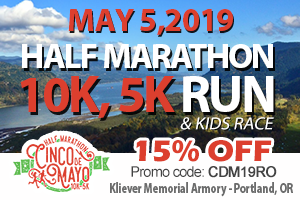 This race benefits The Dalles XC Team, and is part of a larger, family-friendly weekend event with a car show, lots of food, and performances. There’s a 10k, a 5k, and a 3k. Not sure of the exact price, but last year I think it was around $15. Looking into May, a great small race for a great cause is the Angela Coe Rainy Day 5k/10k. At $25 for adults, it’s a good price, and all proceeds benefit the Children’s Cancer Association. 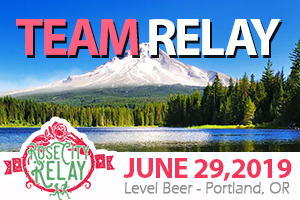 The run is only May 5 in Cascade Locks and honors the memory of Angela Coe, who lost a battle with breast cancer in 2011. Also on May 5 is the Victor Point Run for the Hills, which supports the Victor Point K-8 school in Silverton. The 5k is only $20, the 10k is $25, and the 15k is $30 – great prices for the distances. There’s also a kid’s mile for $10. Online registration is open until May 3. That’s all I got for you this week! Have a good run today and stay dry.